The affair with Montréal, began at an early age for Tania Fox. From the age of sixteen, she became a regular visitor to her to the city that captured her imagination. After making numerous trips and collecting friends along the way, she stood firm in her mission to relocate to the city of glistening white snow winters, beautiful summers and great people. Believing this place was her soul’s home, she made the ‘official’ leap in 2007. With her possessions in tow, she was met with a vigilant border guard that blocked the path to her final destination. Considering moving to Montréal? Listen to her immigration story in full detail. Learn about her experience living there 10 years and learn some of this local’s fave spots to dine and enjoy the city she calls home. Only visiting? Get insider suggestions below on who, what and where from this local’s perspective. Note: Americans are allowed to visit and stay in Canada for 180 days in a year. 1 Live Abroad in Montréal! Hear why expats should develop a business. Learn the social dynamics of living in Montreal. Get the best local hot spots for great eats and beer. And hear Tania’s suggestion for a great day trip. Learn the best time to visit Montreal. A self-described fairy on a mission to assist expats take inventory of their skills and passions, to develop a business that sustains themeselves. 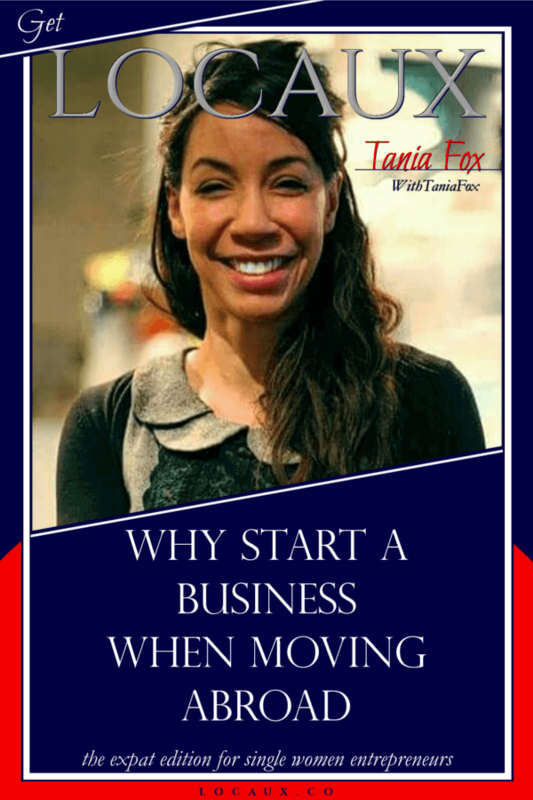 Check her daily live stream With Tania Fox on Facebook. serve up some decent drunk food. Ferlucci Café Boutique, a quiet cozy environment to have a great cup of black; no cream or sugar needed. Café Névé – Laid back meeting for grabbing a cup of artisanal coffee and a light breakfast or lunch. Prepare to stand in line for a smoked meat (pastrami) sandwich at Schwartz’s. Casa del Papolo – a place to connect with the locals. A café for cheap eats and a buzz. A music venue for for indie bands, DJs and spoken word. The menu consists of great vegetarian sandwiches and draft beer. professional servers in this iconic Parisian-style bistro serving up refined standards. Read more this Locaux Insider suggestions on what, when, where in our Locaux Insider’s Travel Guide To Montréal Canada.